SuperPro's unique bushing combines the core strength of their polyurethane blend with a specialized metal ball joint. 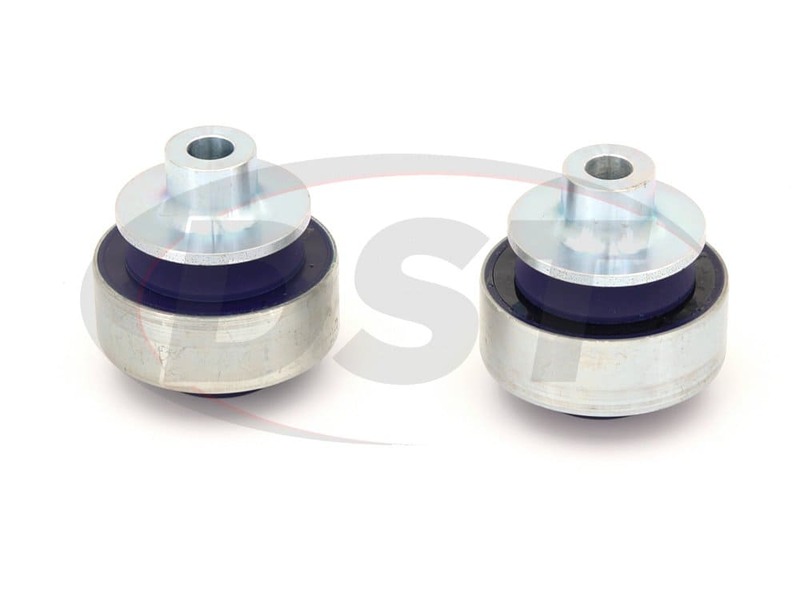 This design delivers all of the articulation benefits of a vertical pivot bushing with a greater durability and longer service life. Under the polyurethane boot, which is used to seal in grease and keep out contaminants, is the metal ball joint. 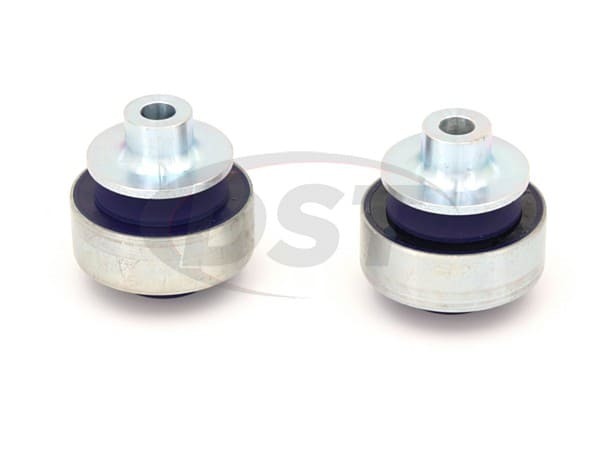 This ball joint rotates in the bushing allowing the suspension to move in a way the OE bushing does not.